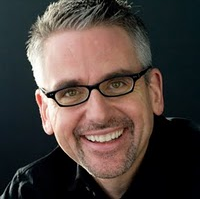 Rob Biesenbach is a corporate communications expert, author, actor and public speaker. He is fighting to wipe out dull, ordinary communications in our time. ​Combining insights from 25 years in business with performance experience gained as a Second City-trained actor, Rob helps people communicate more successfully – in the workplace, the marketplace and in their everyday lives. That means telling better stories, expressing ideas more creatively, writing clearly and succinctly and presenting more confidently. All of which are essential to strengthening relationships, building credibility and trust, motivating and inspiring teams and leading effectively – skills that are vital to success. Robs' business background includes 15 years of independent corporate communications/PR practice, in which he counsels a range of clients, from Fortune 500 companies to startups. Prior to that, he was a vice president at Ogilvy Public Relations Worldwide, press secretary to the Ohio Attorney General and communications director at a Washington, DC association. Rob studied acting, improvisation and writing at Chicago’s famed Second City Training Center. He’s appeared in more than 150 stage, film and commercial productions. He has also written a number of short plays and comic sketches that have been produced on stages around Chicago. 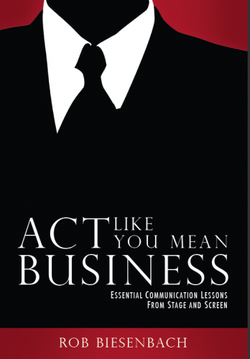 ​He brings the worlds of acting and business together in his book, Act Like You Mean Business: Essential Communication Lessons from Stage and Screen and in speeches and workshops.